The new work indicates these early microorganisms were surprisingly sophisticated, capable of photosynthesis and of using other chemical processes to get energy, says Birger Rasmussen, a geobiologist at Curtin University in Perth, Australia, who was not involved with the work. 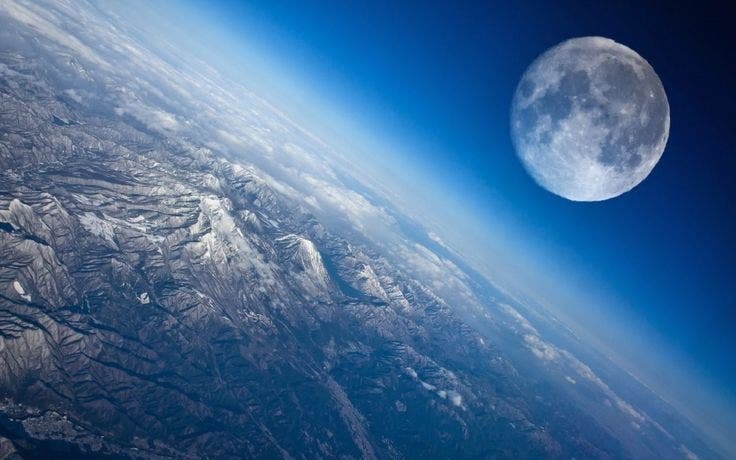 The study “will probably touch off a flurry of new research into these rocks as other researchers look for data that either support or disprove this new assertion,” adds Alison Olcott Marshall, a geobiologist at the University of Kansas in Lawrence who was not involved in the effort. The analysis detected several distinct carbon ratios in the material, Schopf, Valley, and colleagues report today in the Proceedings of the National Academy of Sciences. Two types of microfossils had the same carbon ratio as modern bacteria that use light to make carbon compounds that fuel their activities—a primitive photosynthesis that did not involve oxygen. Two other types of microfossils had the same carbon ratios as microbes known as archaea that depend on methane as their energy source—and that played a pivotal role in the development of multicellular life. The ratio of a final type of microfossil indicated that this organism produced methane as part of its metabolism. That there are so many different carbon ratios strengthens the case that these are real fossils, Schopf says. Any inorganic processes that could have created the squiggles would be expected to leave a uniform carbon ratio signature, he says. 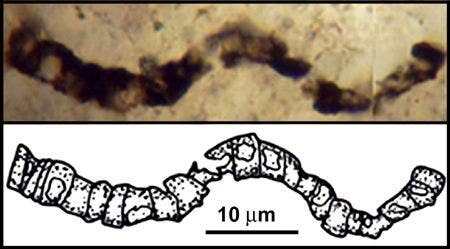 New evidence supports microfossil “squiggles” that represent early life. The fact that microbes were already so diverse at this point in Earth’s history also suggests that life on our planet may date back to 4 billion years ago, he says. Other researchers have found signs of life dating back at least that far, but those findings are even more controversial than Schopf’s.